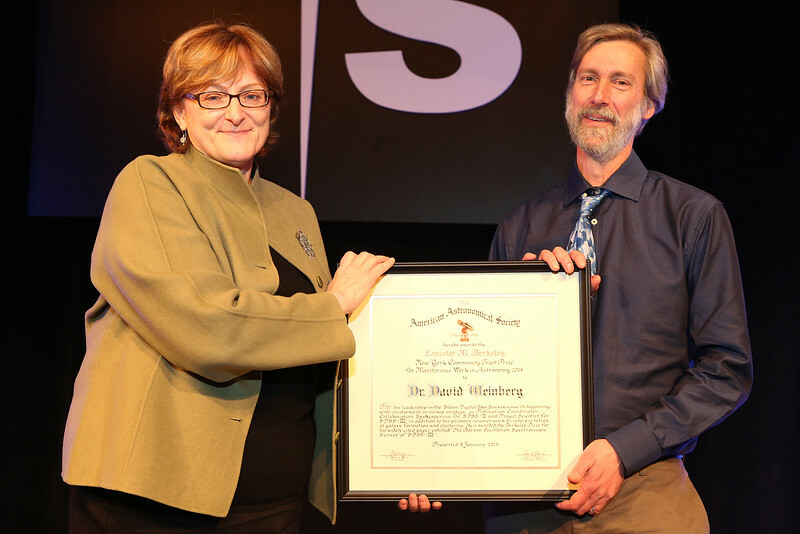 The final plenary lecture on Thursday afternoon was the recipient of the Lancelot M. Berkeley – New York Community Trust Prize for highly meritorious work in advancing the science of astronomy: David Weinberg (Ohio State University). After being feted by AAS President Meg Urry (Yale University), Weinberg gave his lecture "Cosmological Highlights from the Sloan Digital Sky Survey." AAS photo © 2015 Joson Images.